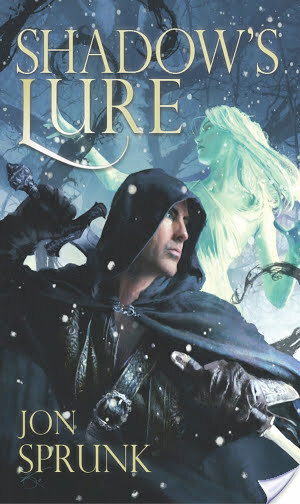 Book Blurb: After the brutal slaughter of his family, Conn takes justice into his own hands in a quest for vengeance that carries him the length and breadth of the land, earning him the name Fuilteach – Bloodthirsty. When a seemingly chance encounter reveals that he is merely a pawn in a dark plot by the God of Death, Conn must decide to pursue his vengeance or unravel the twisted strands of conspiracy and stand against the greatest threat humanity has ever faced. His decision is complicated by the arrival of a dead chieftain’s daughter who might be more than she seems and a strange old man poking into the secrets of Conn’s past. Can Conn thwart the plot before the god’s agents find him? Can he stand against a god? Well, I hate to say it, but this fell short for me. I love characters who have experienced something horrible, who’ve been to the bottom, who have an internal struggle that tears at my heart. Conn should have been that character. All the elements were there. The scenes that should’ve pulled me in, that should have torn open my heart, that should have reduced me to tears were too understated, too rushed, too…plain. I wanted to stay in those moments, but instead I was plunged forward. This was an extremely short book and had plenty of opportunity to be something incredible. I like the story idea. I like the potential of the characters. I like the fantastical places they visited. There were gods, odd lands, fights, and a little romance brewing. Again, all things I enjoy. But as I said, I never got a chance to settle into them. I like…no, I love fast paced books if they’re done well, if they focus on the right areas. This wasn’t one of those books, for me anyways. You’ll note that are plenty of 4-5 stars, so it just goes to show that every reader is different. I’m actually quite frustrated, to tell the truth of it. I really wanted to like this book. It had soooooo much potential. Husband and father, inkslinging indie fantasy author.